A Journal of the Bishop's Visitation Tour through the Cape Colony with an Account of His Visit to the Island of St. Helena, in 1849. London: Society for the Propagation of the Gospel, October, 1849. London: Society for the Propagation of the Gospel, 1853. The Good Tidings of Great Joy, Which Shall Be to All People. By the Right Reverend John William Colenso, D.D., Lord Bishop of Natal. Cambridge: Macmillan & Co., 1854. Oxford and London: John Henry and James Parker, 1857. London: Longman, Green, Longman, Roberts, & Green, 1864. Correspondence of the Most Reverend the Lord Archbishop of Canterbury, the Most Reverend the Lord Archbishop of York, the Right Reverend the Lord Bishop of London with the Bishop of Capetown, concerning the Appointment of an Orthodox Bishop to Natal. From Mission Life, Vol. III (1872), pages 410-424. From Mission Life, Vol. III (1872), pages 425-432. In Memoriam. The Bishop of Cape Town. From Mission Life, Vol. III, Part II (New Series) (1872), pages 647-653. From Mission Life, Vol. V (1874) (new series), pages 455-464. With Select Readings from the Writings of the Rev. F. D. Maurice, M.A. Edited by the Right Rev. 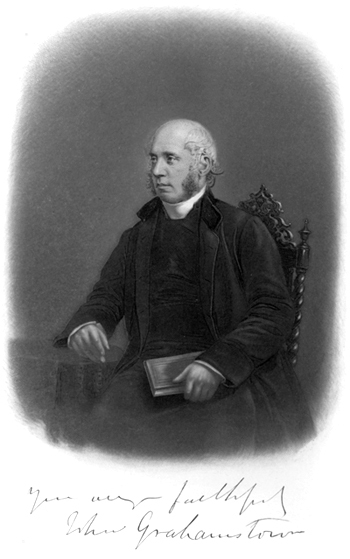 John William Colenso, D.D., Lord Bishop of Natal. London: Macmillan and Co., 1874. By John William Colenso October 21, 1880.
no place: no publisher, 1880. By the Right Rev. Allan Becher Webb, D.D., Bishop of Grahamstown. London: Skeffington & Son, 1883. Eight Years in Kaffraria, 1882-1890. By Alan G. S. Gibson. London: Wells Gardner, Darton & Co., 1891. Henry Callaway, M.D.,D.D., First Bishop for Kaffraria: His Life-history and Work: A Memoir. Faith, Works, and Grace: Addresses on the Seven Words from the Cross. [London:] The Society for the Propagation of the Gospel in Foreign Parts, 1930. By Cecil Lewis and G. E. Edwards. London: Society for Promoting Christian Knowledge, 1935.